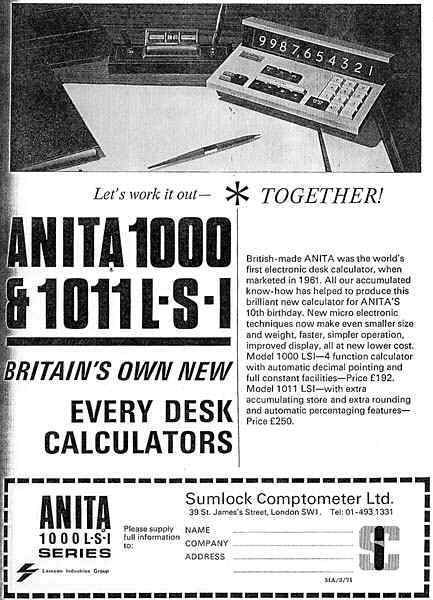 ANITA 1011 LSI - similar to 1000 LSI but with % and memory. Uses 4 integrated circuits by General Instrument Microelectronics (GIM) - the metal cans in the above photograph. 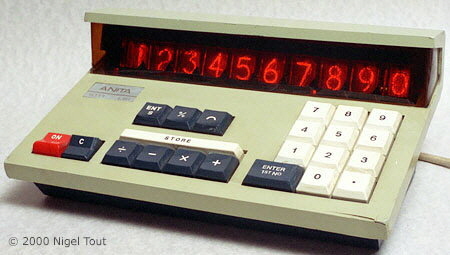 Price £250 GBP (about US$600). With the casing open to reveal the two circuit boards. 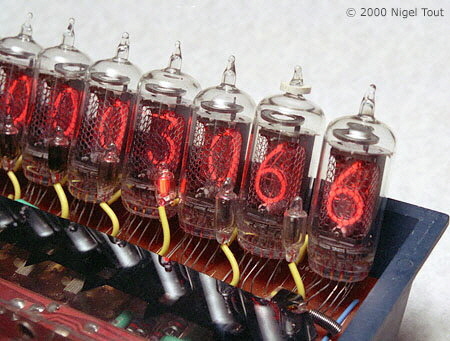 The Nixie-type numerical indicator tubes are at the top. 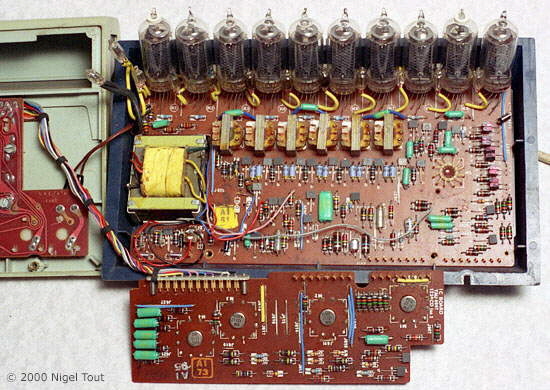 The 12-pin integrated circuits in cans are positioned in holes in the circuit boards.